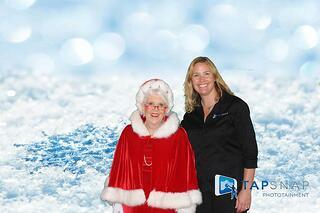 One of the premier events for marketing your TapSnap system is the vendor appreciation party. Large hotels host these parties to thank their clients and inspire future bookings. Getting on the guest list is a marketing coup. 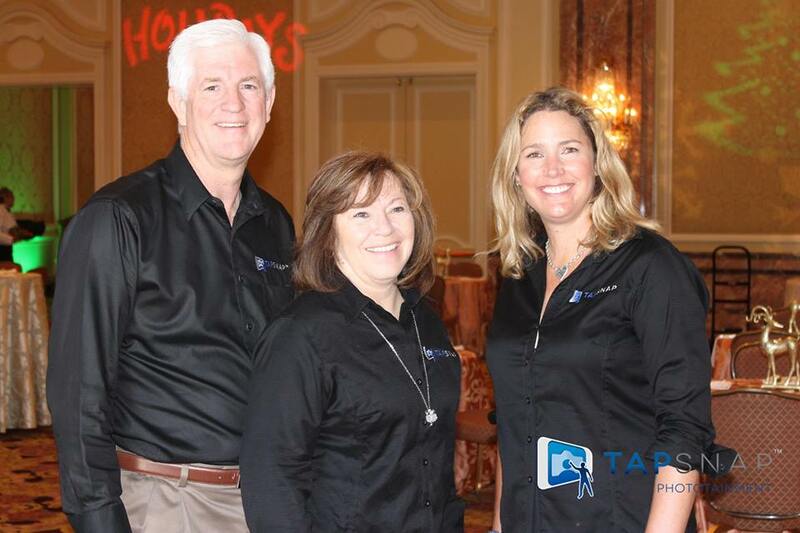 For TapSnap franchisee Kim Deimling, it was the event of her dreams: a vendor appreciation party at the most luxurious hotel in her region, the Grand America in Salt Lake City. “The event was called Christmas in September and it was a very elegant and elaborate ‘thank you’ to event, meeting and wedding planners and corporate clients who planned or attended events at their hotel,” says Kim. Everyone in the city’s event planning industry was there – exactly the kind of industry types Kim wanted to introduce her TapSnap machine to. Kim, who is based in Park City, also invited Salt Lake City franchisees Neil and Tammy Knight to join her at the event. The party was spectacular in every sense of the word. “It was really something to see – they went all out. Everything was holiday themed. They had various food stations, signature drinks like frozen hot chocolate, a pianist and singer, decor and incredible service,” says Kim. Grand America is the only hotel in Salt Lake City to receive the AAA Five Diamond Hotel rating. “When they built this hotel for the Olympics, they went all out -- this is the kind of hotel you walk into and you’re immediately greeted,” says Kim. At the event, Kim had the opportunity to make new connections as guests had a riot with the TapSnap machine, and also to foster ongoing relationships. “The company that I did my very first paid event with, Priority Dispatch, was there. It was great to see them again and reinforce that relationship,” says Kim. Kim was thinking of hosting a TapSnap open house event, and called Grand America’s catering manager. The cost turned out to be prohibitive, but the connection was made. A few weeks later, they called back, asking if Kim would bring her TapSnap to their vendor appreciation event. “When she started telling me who was going to be there and I said yes before she even finished,” says Kim.